On February 28, 2011 at approximately 7:15 pm Patrolman Richard Fulham was on patrol in the area of Gillville Lane when he observed a vehicle make a turn without using its turn signal. Officer Fulham conducted a motor vehicle stop and approached the vehicle. While speaking with the occupants, Officer Fulham detected the odor of raw marijuana coming from inside the vehicle. He informed the occupants of his observation at which point the passenger, identified as Patrick Collins, age 19, from Highway 33 in Neptune, NJ, voluntarily reached down to the floor mat and retrieved a tin foil package and handed it to the officer. The package was found to contain marijuana. Collins was placed under arrest and transported to police headquarters where he was charged with Possession of under 50 grams of marijuana. He was processed and released on a summons pending a court appearance. The driver of the vehicle was issued a summons for failing to signal while turning. On February 27, 2011 at approximately 10:47 pm Patrolman Albert Scott and Patrolman Richard Fulham were on patrol in the area of Belford Park, located on Main Street in Belford, when they observed a vehicle parked in the parking lot after hours. The officers checked the vehicle, which was unoccupied at the time, and while doing so detected the strong odor of raw marijuana coming from inside the car through and open window. The officers then positioned themselves where they could observe the vehicle and waited until someone came back to the car. After a short time the officers observed two subjects return, enter the vehicle and pull out of the parking lot. The officers stopped the vehicle and approached the driver, identified as Timothy Toner, age 23, from Woodland Road in Pittstown, NJ. The officers advised Toner of their observation at which point he voluntarily retrieved a sunglass case which contained marijuana and a marijuana smoking pipe from inside the car and handed it to the officers. 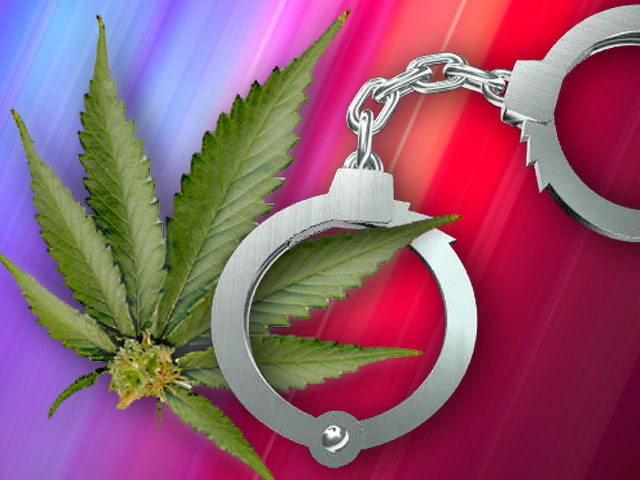 Toner was placed under arrest and transported to police headquarters where he was charged with Possession of under 50 grams of marijuana and Possession of drug paraphernalia. He was processed and released on a summons pending a court appearance.